Imagine crystal-clear, cool pure water that you can drink straight from the bubbling spring! See what past visitors to Paradise Valley Springs had to say about their visit, or write a review of your own. Paradise Valley Springs is a beautifully presented New Zealand Wildlife park, along with a pride of African Lions. Animals that are found wild around the country such as deer, goats, tahr and wallabies, as well as a range of sociable farm animals like alpacas, emus and sheep can all be handfed throughout the day. Visit the Kea, New Zealand’s infamous and comical parrot in their walk-through aviary, see kakariki and kereru birds and meet our friendly tui. Stroll through our waterbird wetland for great views of native and introduced waterfowl, and look out for the many different native birds living wild around the park. Fern edged pools show off hundreds of rainbow and brown trout. Feed the wild trout in the natural stream and get eye to eye at the underwater window. Look out for large native long-finned eels lazing in their ponds. Pathways through native trees lead to our freshwater spring where you can drink straight from the source. You can even purchase some of our own bottled ‘Paradise Pure’ to take away with you. 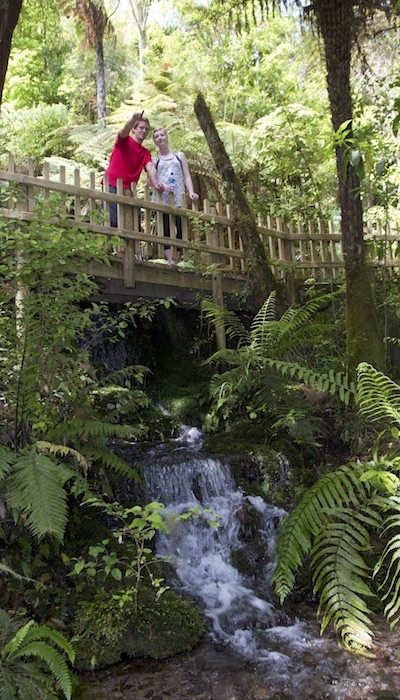 Take our elevated treetops walk in a tranquil and secluded area of the park, putting you up near the canopy of the trees. There is also a pride of African Lions that can be seen all day in an enclosure that allows visitors to get very close to these wild animals. The afternoon feeding show is a great time to see the lions active, and to learn a bit more about the pride. 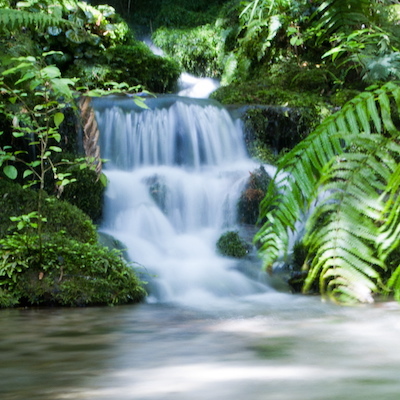 Paradise Valley Springs is located in a natural valley - Paradise Valley, only 10-15 minutes drive from Rotorua city. We're open from 8am until dark, with last entry to the park at 5pm. Tickets must be purchased before 5pm to allow entry, then you are able to leave at any time until dark. Lion Feeding is every day at 2.30pm. Kea and Possum Feeding is every day at 3.00pm. Only 10-15 minutes drive from Rotorua city and many other Rotorua attractions - away from the traffic noise and that sulphur smell that Rotorua is known for! WE HOPE TO WELCOME YOU TO PARADISE SOON!